Indoor Soccer Arena For Hire In Sydney, Penrith, Campbelltown and more. The Indoor Soccer Arena is a new addition to our huge range of amusements for hire. This arena is the perfect addition to a sports club presentation, corporate event, team building event or school fete. 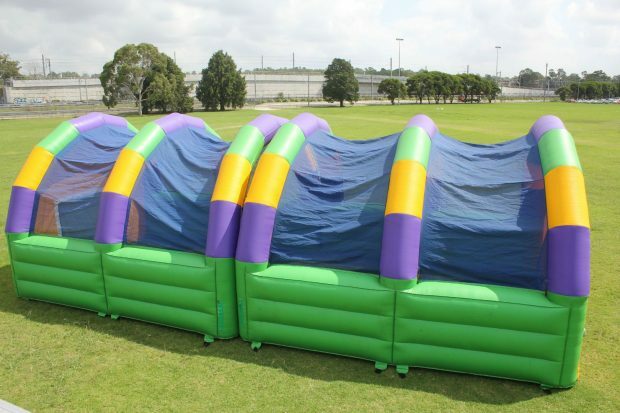 A soccer/football themed inflatable arena always brings a lot of fun to all ages. 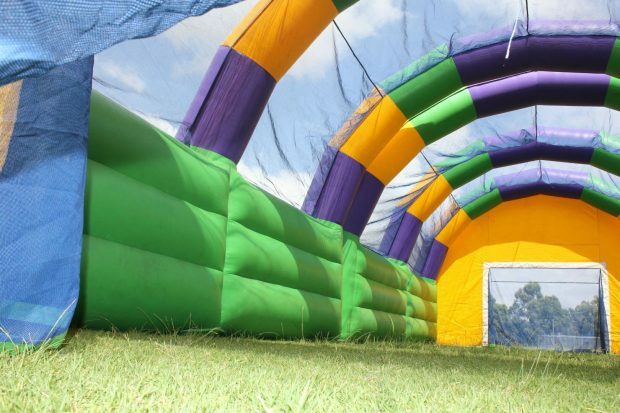 Sized at just 7 metres long and 5 metres wide, it is easy to find a spot for this inflatable. The arena can fit six per side. Participants can kick the ball off the side of walls and ceiling in pursuit of a rebound goal–no more balls flying around your event! If you’re looking for something much bigger, see our amazing Bubble Soccer Arena.